The nuclear agency gets some pushback from Nevada leaders as it prepares to study revival of a waste dump plan. 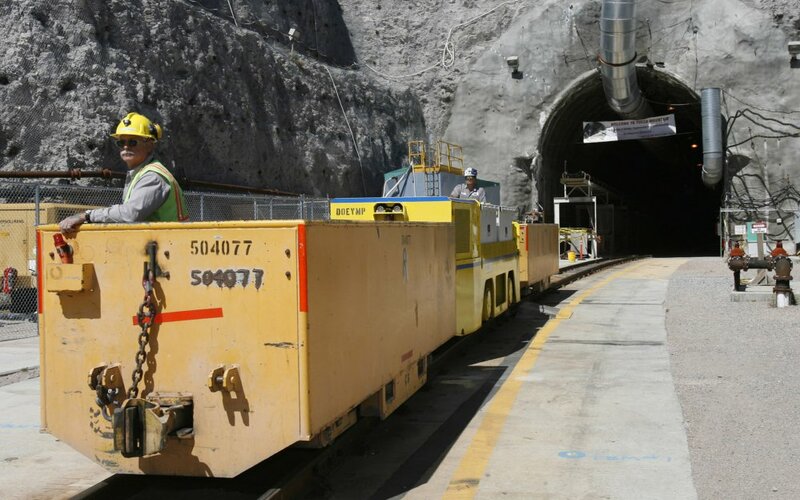 WASHINGTON — The Nuclear Regulatory Commission is taking steps to review the planned revival of the long-dormant nuclear waste dump at Nevada’s Yucca Mountain. The nuclear agency said Tuesday it will spend up to $110,000 from its current budget to gather documents and other information about the Yucca Mountain site, which the Obama administration abandoned in 2010. The Trump administration has begun steps to revive the repository site amid bipartisan opposition from Nevada lawmakers. The nuclear agency said its preliminary activities “will enable efficient, informed decisions” as officials prepare to consider an expected Energy Department application to store spent, radioactive fuel from the nation’s commercial nuclear fleet at the remote site outside Las Vegas. The money being spent by the NRC is “the tip of the iceberg” in a project that could cost ratepayers billions of dollars, she said. The Energy Department has dismantled much of its infrastructure related to Yucca since 2010, with key personnel retired or at new jobs and “truckloads of related resources and documents” moved to facilities across the country, Titus said. NRC Chairwoman Kristine Svinicki said the decision to spend $110,000 in previously appropriated funds was “not a resumption” of an administrative proceeding suspended by the agency in 2011. Rather the action launched “appropriate steps to develop the agency’s readiness” to consider the Yucca Mountain project, if it proceeds as expected, she said. Svinicki, a Republican, was named NRC chairman by Trump earlier this year and has served on the panel since 2008. The NRC has estimated it would cost at least $330 million to complete a multi-year review of the Yucca Mountain project. The agency has requested $30 million for Yucca-related costs. in the budget year that begins Oct. 1.